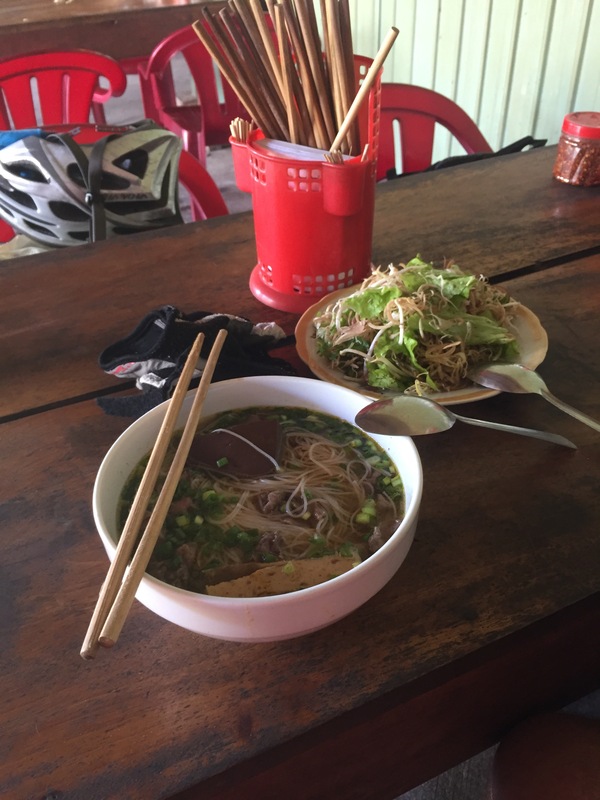 Beef noodles in the central highlands after 40km of climbing. Accompanied by fresh herbs, bean sprouts and salad. 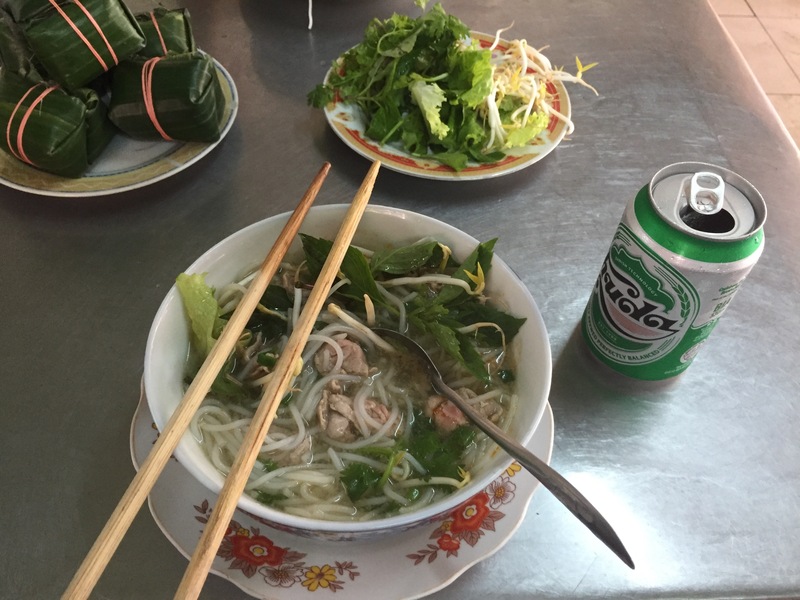 Bun Bo Hue – the city of Hue variation with a cheeky lunch time beer. More spicy than usual but very good. The best beef noodles soup so far. 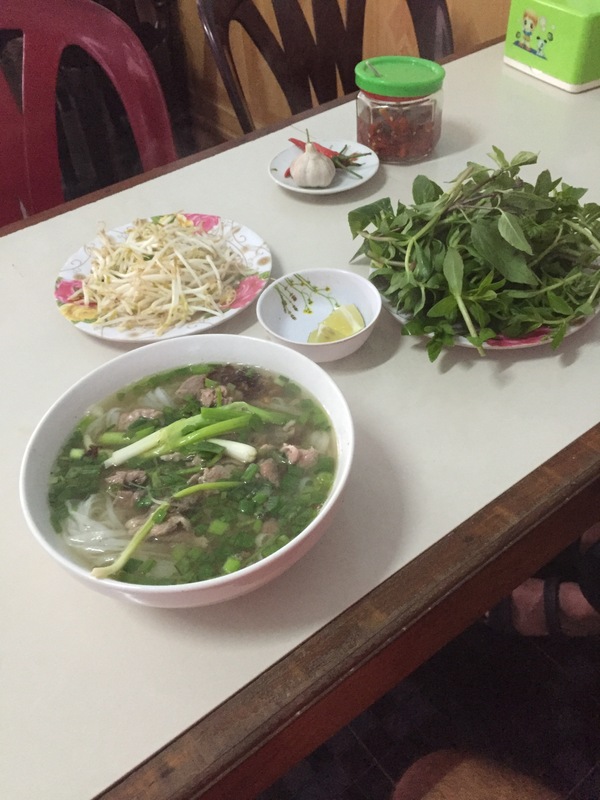 We had this for breakfast in Quang Tri. 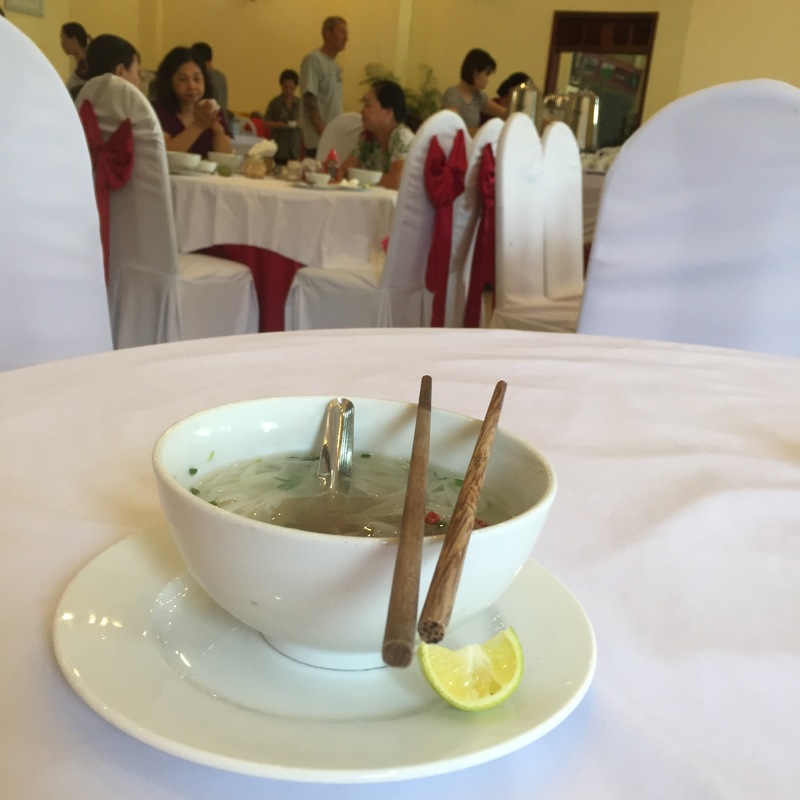 Really very good – refreshing clear broth with fresh noodles and herbs. 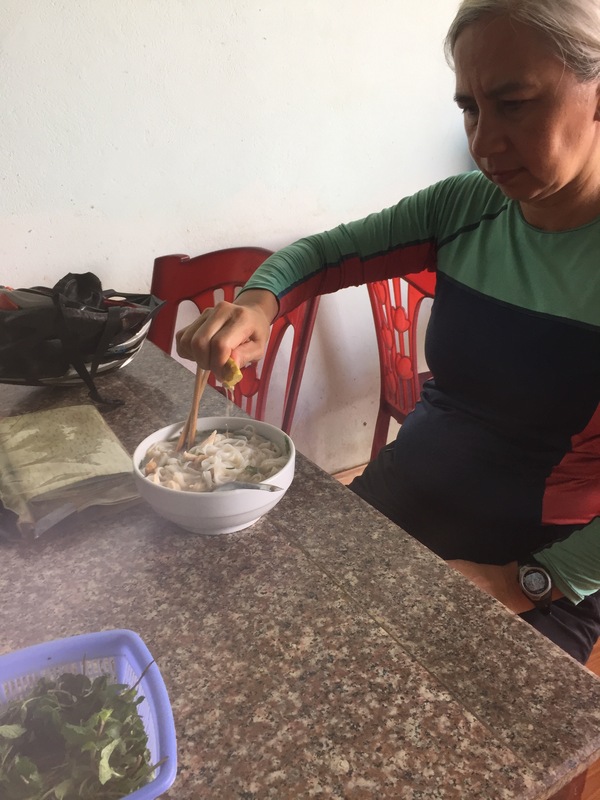 For lunch we had another local variation, fish and thick rice noodles called Bun Ca, typical of the region around the city of Hue. 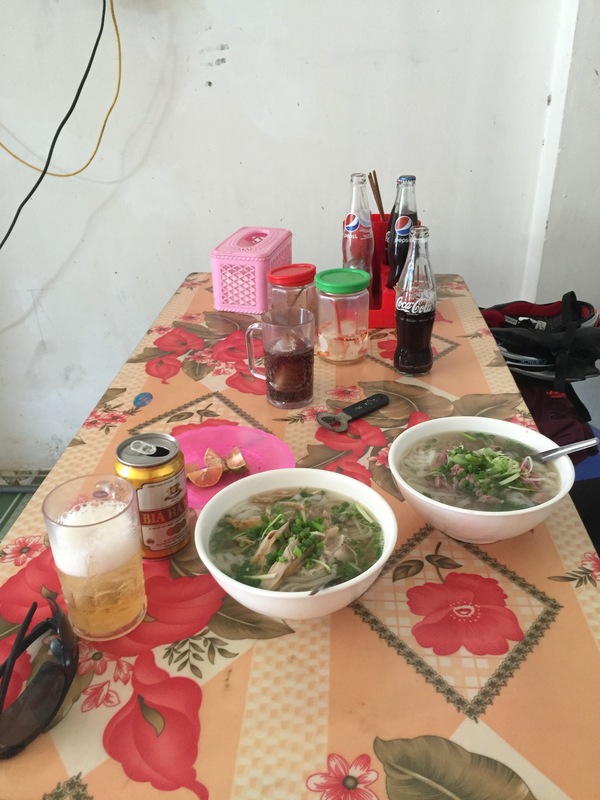 Beef noodle lunch in Do Long. A small beef noodles soup ‘in progress’ for breakfast this morning. No MSG so a good one! This time Yasmin’s going for the chicken version. I had fried rice as I worry about MSG in the soup. 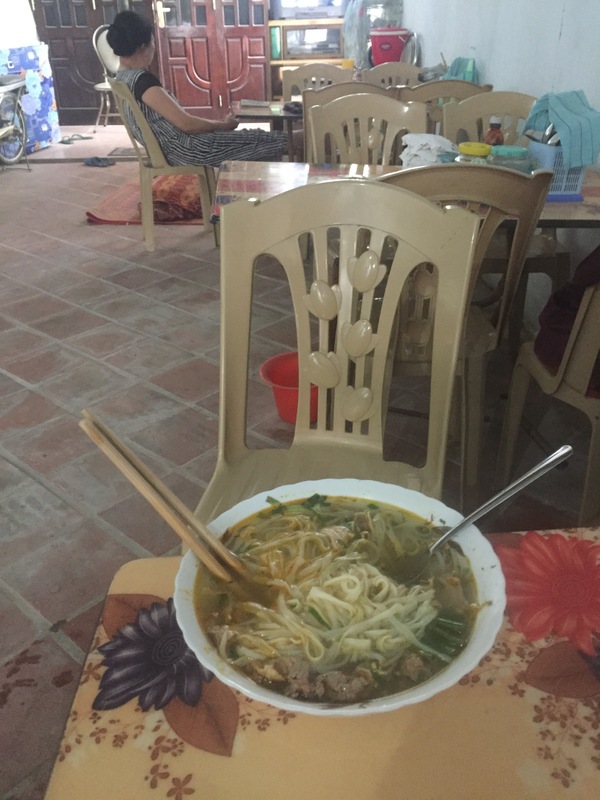 Popular lunch place in Than Uyen. Sunday lunch at Son Tay, about 40km west of Hanoi. Again a Pho Ga and Pho Bo but this time with all the herbs in and no chilli. Carrying on from where pies left off – Pho – a flat rice noodle soup. We ate this lunch at KOTO, a restaurant run by a charity to train street kids hospitality skills. 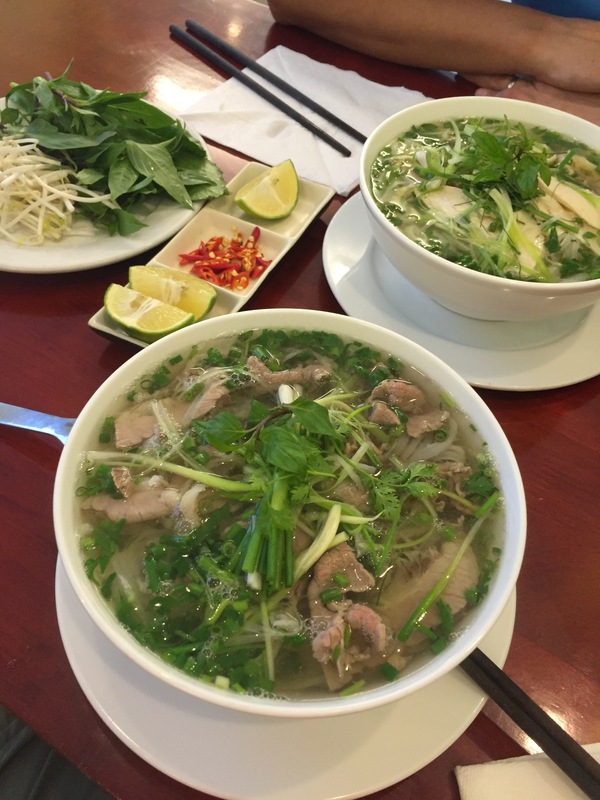 Above we had a Pho Bo (beef) and a Pho Ga (chicken). Very good and a Hanoi speciality. I’d not eaten this before and this is the first of probably many. The broth works surprisingly well with a bit of chilli to make a very refreshing thirst quenching meal.